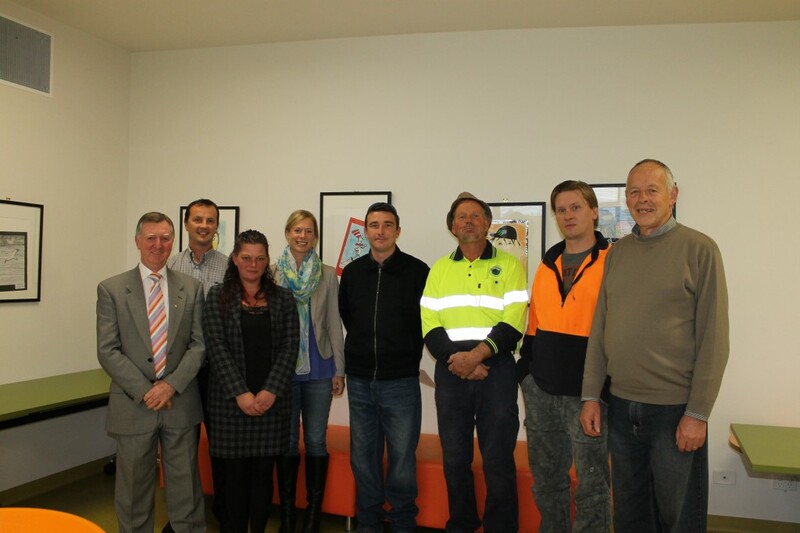 FOUR of our long-term participants were recognised at a small celebration ceremony at the Bridgewater LINC recently. The ceremony was also attended by members of Community Blitz Governance Group and Mayor Tony Foster who presented certificates to the four who had given more than 200 hours with the other two working in excess of 100 hours on the full range of community projects. Glenn Randall said he had really enjoyed working with the Blitz team, meeting new people and putting his learned skills into the community projects. Glenn has worked for more than 120 hours with Blitz and said that he was putting back into this community for the first time ever. He is more fulfilled now that he is reconnecting with the community. Recently Glenn completed his work experience commitment with MAX Employment and now volunteers with Community Blitz two days a week. Brighton Mayor Tony Foster congratulates long-time ‘Blitzers’ on their work in the community. WELL here I am with my second article for the Brighton Community News! This month the Waterbridge Fast Foodies are underway with our second lot of cooking classes at the Gagebrook Community Centre (first Wednesday of the month) and at the Brighton Civic Centre (second, third and fourth Wednesdays of the month). If you would like to join us and cook up a storm please contact the Gagebrook Community Centre or look us up on the Waterbridge Food Co-Op page on Facebook – we are always looking for new people to cook with us. The Waterbridge foodie team at work. 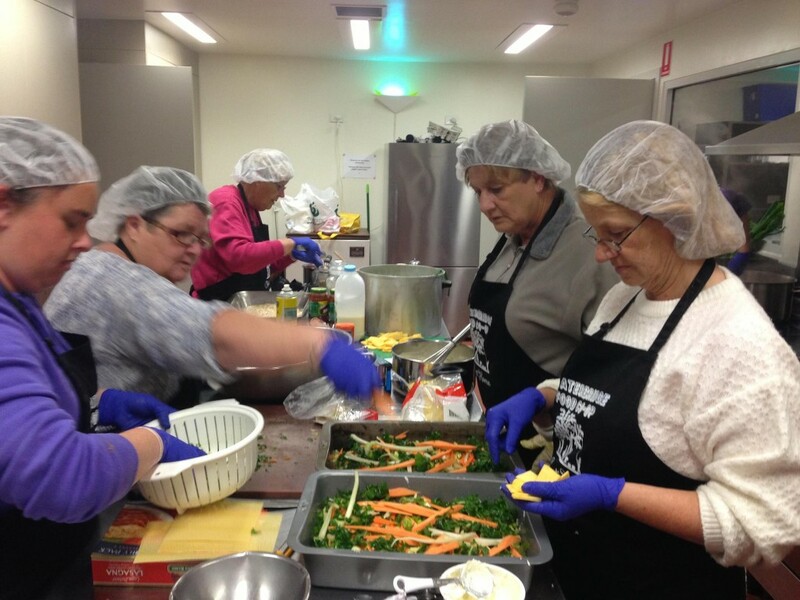 In our first 10-week cooking program, which ran from April to June, we cooked more than 650 meals which have been sold through to the Waterbridge Community Pantry or given to community food programs. We have also made more than 450 jars of jams and chutneys which have ranged from apricot to feijoa! I can’t thank the Fast Foodies cooks enough for all of their amazing cooking – you are just awesome! This month we have been using the best of the winter’s seasonal vegetables making broccoli and cauliflower frittatas. These yummy little veggie bundles are good hot or cold and are great in lunchboxes. You can also add other veggies from the fridge to really pack those vegetables in. Preheat oven to 180 degrees C. Lightly spray eight pie pans or a muffin tin with cooking oil spray and place on an oven tray. Arrange vegetables in the base of the pans. Whisk eggs with milk, add grated cheese, ham and chopped spring onions. Carefully pour mixture over the vegetables. Bake for 30 minutes until set and golden in colour. Serve hot or cold with salad or more vegetables. The Waterbridge Community Pantry at Gagebrook Community Centre sells broccoli and cauliflower along with a range of fruit and vegetables. Come in and have a look. I’M Christine and this is my first of regular cooking articles for the Brighton Community News. WE all know that cooking at home with children encourages healthier lifestyles and teaches valuable life skills. But did you know children are also learning early maths and science concepts in their cooking? Comparing temperature, weighing, measuring, counting and observing change, just to name a few. There are many jobs even the youngest of your children can do in the kitchen. Even babies can sit alongside you in a high chair and feel, touch, taste and smell all the different ingredients. So, if you haven’t involved your children in preparing daily meals give it a try today. 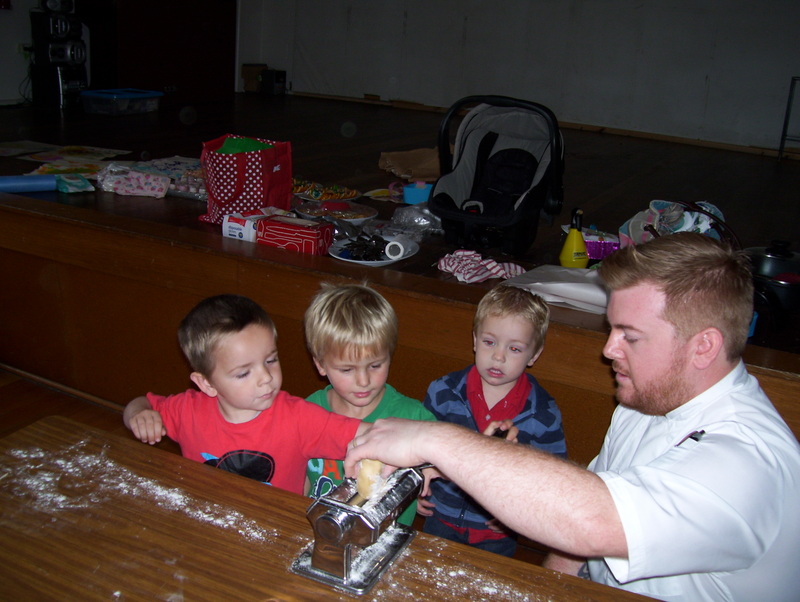 Donny, the Pontville Play2Learn chef, makes cannelloni with Pontville Play2Learn children.